Other Notes: Made of tough, high-impact ABS plastic to protect your investment. This Standard Water-Resistant AED Carrying Case for Defibtech AEDs is made of tough high-impact ABS plastic. The foam insert is resistant to body fluids, and is specifically designed for the Lifeline or Lifeline AUTO AEDs. Ideal for police cars, fire and EMS vehicles, marine use, or anywhere your Lifeline or Lifeline AUTO AED needs extra protection in harsh environments. 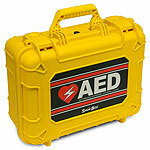 Includes compartments for spare defibrillation electrodes, spare battery, rescue kit and operator manual. Dimensions: 15" x 12.5" x 7". 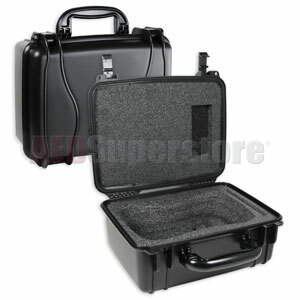 Please choose carry case color from dropdown window above: Black or Yellow.